Everyone has a hill they go to for a Sunday blast and the ridge of Capard is mine. I usually start from the car park at 364065 A and head along the boardwalk. 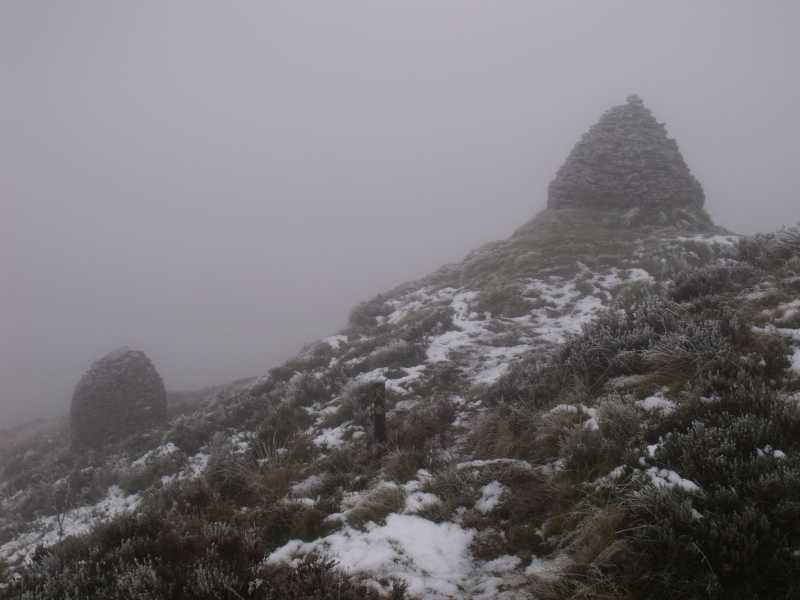 On a clear day you can see the stoney man cairn in the distance which you are heading for. The board walk soon ends and you are on the slieve bloom way which can be very cut up and boggy. Once at the stoney man a bearing of 234 will take you in the direction of the top. There is the beginnings of a path that you can follow from the stoney man but this soon peters out and it seems to be mainly used by deer. The top isn't obvious. I take it to be hillock as this is closest to bearings I have taken and the aforementioned path goes right past it. From there I usually go south west towards baunreaghcong. At a deep cut in the hill, almost a road, you will see the rusted sat receiver dish. Go left (south) down this cut. It follows old boundary fence posts to the forest at 343042 B. You can the follow the slieve bloom way back to the car park via the stoney man.